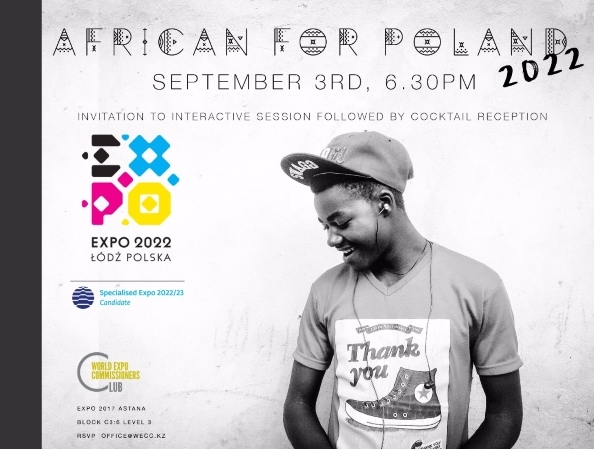 On September 3rd at the WECC business lounge has been organized the interactive session focused on the official presentation of Expo 2022 Lødz (Poland) to the African Continent. Event started welcome speech of Mr.Mucahit SENGUL (Secretary General of WECC)Than Poland Commissioner Mr. Andrzej Stefanski and Mr. Kamil Kulesza (The city of Lodz Expo Project Department) gave information in regarding to Lodz Expo 2022 project. Mr. Philip Conteh (WECC Vice President/Africa) moderated African Commisioners’s questions about Lodz Expo 2022 project. The slogan: “City Re: invented”, expresses the main idea of EXPO-2022 – the revival and restoration of cities. Lødz is recognized as the most attractive city for investors in Poland: the favorable regime of the special economic zone operates in the city, and the graduates of its 20 universities can become a promising workforce for future enterprises.